Someone should be devoted to giving lectures. To prepare a ‘power point’ and explain how they have done it. I do not know if the mayor, a tourism councilor or simply entrepreneurs in the town. But someone. Or all together. They should explain to the rest of the 43 municipalities Cadiz, one by one, how it is done. How an ordinary town becomes a tourist reference on a national and international level. True, Vejer has a natural beauty that calms the eye. 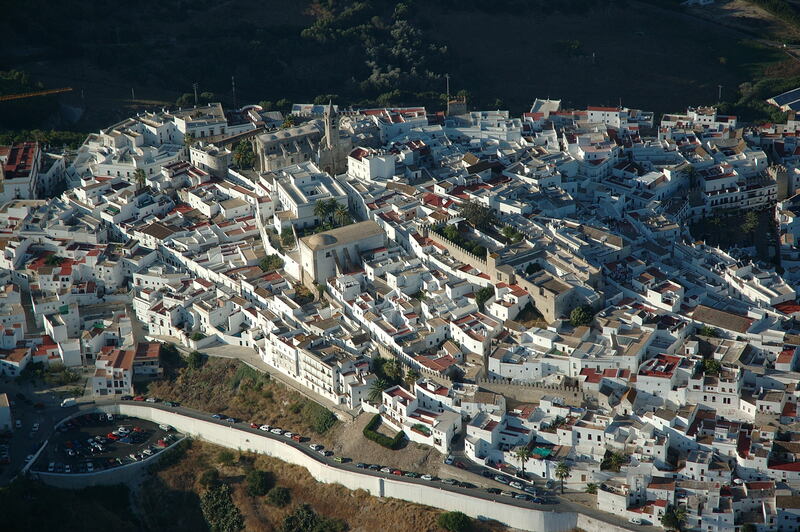 But there are other towns in the province who have a lot to offer however none of them can match Vejer. Neither the capital (Cádiz) or the most remote municipality. Grazalema, maybe. I should say I have no connection with the town, other than being from the same province and having a few friends there. I discovered Vejer many years ago now. And it was a nice town, really. Its white houses, spectacular views, the ‘toro embolao’ (running of the bulls)… However back then it didn’t stand out amongst other towns in the area much less compete with the white towns of the Sierra de Cádiz. But now is like being teleported into another world. So pristine, pure white, meticulously maintained. Impressive. Vejer has managed to make what seems impossible elsewhere. Something that seems so simple but that apparently is a pipe dream elsewhere. Give good service to its visitors. Offer them something that they will not find elsewhere. Its restaurants are manicured to the last detail. From the decor to customer service. Everything becomes easy, friendly faces. The atmosphere, for any person at any time, is agreeable to the maximum. The market is quite a spectacle. Everything is worth seeing. Enjoy any street. The truth is that it is a real breath of fresh air for the province. Because it is tangible proof that doing things right, with love for your town another Cádiz is possible. Not everything should be complaints by businesses or requests for grants to fix problems. With will, with ideas, with imagination, with love for what we do we can get ahead. Make tourism a real industrial power. And while we do that don’t miss the opportunity to wander around Vejer. You won’t regret it at all.